Although I wrote everything I know about squirrel issues for this website, oftentimes a problem with squirrels in the attic is beyond the scope of the do-it-yourself homeowner to solve. I have found a professional company in Tacoma, Washington that handles problems with wildlife. 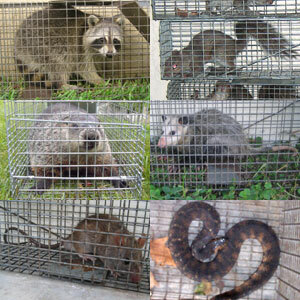 Wildlife Evictor has access to tools, techniques, and experience that help them do a far better job at wildlife removal than a non-experienced homeowner could. They possess licensing that allows them to do certain types of work legally, that non-licensed homeowners in the state of Washington are not allowed to do. For the welfare of your situation, and the squirrels, in some cases it's best to hire a pro. There are good companies and bad companies out there. I've done research on such companies, to get to know them, and feel confident recommending their services. I therefore recommend a company called Wildlife Evictor which services Tacoma, Washington. If you have a squirrel problem, or any other conflict with a wild animal, and live in Tacoma, I am confident that this company, Wildlife Evictor, is the one to call. I asked the company to describe their service range, and they said this - We also service Federal Way, Edgewod, Waller, Puyallup, Midland, Parkland, Lakewood, and more. Wildlife Evictor operates 24/7, so don't hesitate to call at any time to discuss your wildlife problem, and schedule an appointment for same-day or next-day service. I recently ran into a squirrel problem in my house and its gotten pretty bad. The squirrels are a real headache, they constantly scramble at night and run around. So I decided to put an end to it, I first went to home depot and bought squirrel repellent (which looks like a container of spices and black pepper) and sprinkled it all over the attic. I looked for holes in the attic but I couldn't find anything. I think the squirrel came in from the house siding somehow. I actually sealed the area up but yet still I hear them in the attic at night. Where did you get the live trap that was shown in the picture on the webpage? Hi David, I am replacing my wood siding with Hardie board on two sides of my house in order to keep the squirrels from chewing holes in the siding. I need to have two attic vents installed, one on each end of the house under the peak of the roof. At Lowe's they have vinyl attic vents. I have a feeling the squirrels may chew through these vents. Should I have the contractor install hardware cloth behind and/or in front of the vent? On the other hand, the squirrels may have a much harder time climbing up the Hardie board than they did climbing up the wood siding. What do you think I should do? We live in Tacoma WA. Thanks for your advice. Hello, We have had a squirrel in our attic since October. We have also had rats every winter. We have been in this house for 3 years. Unfortunately they reside in an inaccessible part of the attic where no person can go. The rodent guy we have is unable to figure where they are getting in from the roof as we have a tile roof. So he had a roofer come out (extra cost) to lift up the tiles so he could see under and discovered a vent. After putting some mesh on that vent ... we still continued to hear noises. Not crazy ones like they were trapped ... just the same kind we have been hearing. There may be some where else they are getting in from ... but where? All your advice on your web page refers to when you can get to them from the inside, or you can visibly see where they are getting in from the outside. What would we do in our situation? Please help ... I am frantic now! If you have a squirrel problem in Pierce County Washington, or any other conflict with a wild animal, I am confident that we can solve it. We use humane methods when dealing with Tacoma wildlife removal situations. Squirrel Control Tacoma. Our company is fully licensed and insured in Washington. Call us any time at 253-275-0685 for a price quote and to schedule a same-day or next-day appointment to solve your squirrel problem in Tacoma.